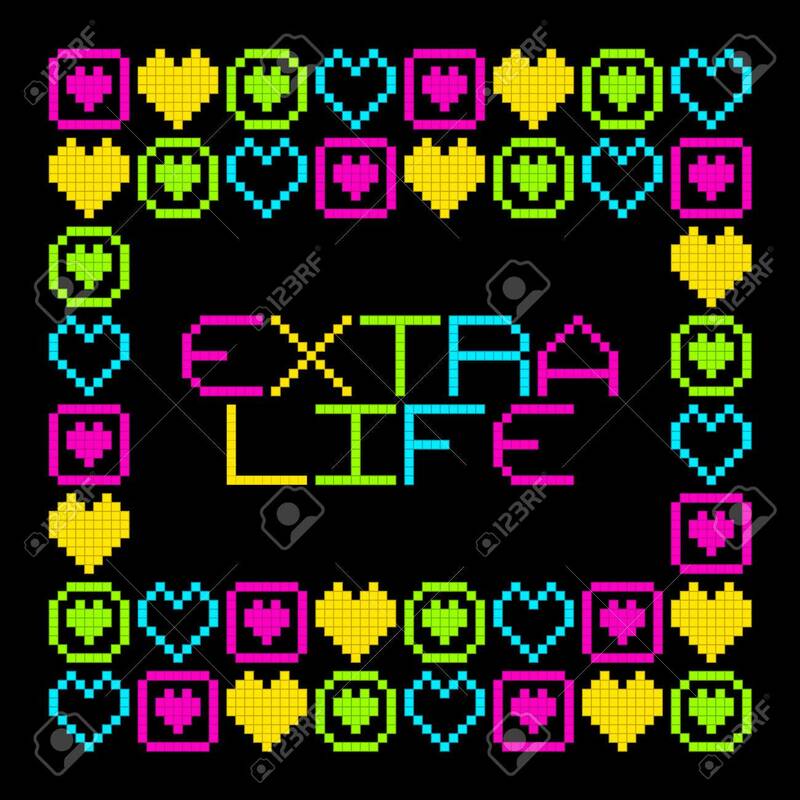 8-Bit Pixel Retro Extra Life Message. EPS8 Vector. Each Coloured.. Royalty Free Cliparts, Vectors, And Stock Illustration. Image 50995602.